Gledhill, Jr., J.M. and Wand, A.J. SEnD NMR: Sensitivity enhanced n-dimensional NMR. J. Mag. Res. 202, 250-258, doi:10.1016/j.jmr.2009.11.005 (2010). Goldberg, S.D., Clinthorne, G.D., Goulian, M. and DeGrado, W.F. Transmembrane polar interactions are required for signaling in the Escherichia coli sensor kinase PhoQ. Proc. Natl. Acad. Sci. USA 107, 8141-8146, doi:10.1073/pnas.1003166107/-/DCSupplemental (2010). Hickey, R.J., Sanchez-Gaytan, B.L., Cui, W.H., Composto, R.J., Fryd, M., Wayland, B.B. and Park, S.J. Morphological transitions of block-copolymer bilayers via nanoparticle clustering. Small 6, 48-51, doi:10.1002/smll.200901266 (2010). Jakubinek, M.B., White, M.A., Mu, M.F. and Winey, K.I. Temperature dependence of thermal conductivity enhancement in single-walled carbon nanotube/polystyrene composites. Appl. Phys. Lett. 96, 083105, doi:083105 10.1063/1.3323095 (2010)*. Korendovych, I.V., Senes, A., Kim, Y.H., Lear, J.D., Fry, H.C., Therien, M.J., Blasie, J.K., Walker, F.A. and DeGrado, W.F. De Novo design and molecular assembly of a transmembrane diporphyrin-binding protein Complex. J. Am. Chem. Soc. 132, 15516-15518, doi:10.1021/ja107487b (2010). Lohr, M.A., Alsayed, A.M., Chen, B.G., Zhang, Z., Kamien, R.D. and Yodh, A.G. Helical packings and phase transformations of soft spheres in cylinders. Phys. Rev. E 81, doi:10.1103/PhysRevE.81.040401 (2010). Loverde, S.M., Ortiz, V., Kamien, R.D., Klein, M.L. and Discher, D.E. Curvature-driven molecular demixing in the budding and breakup of mixed component worm-like micelles. 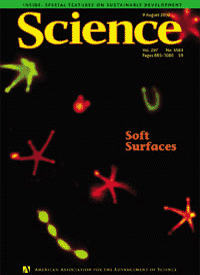 Soft Matter 6, 1419-1425, doi:10.1039/b919581e (2010). Montalvo, G., Waegele, M.M., Shandler, S., Gai, F. and DeGrado, W.F. Infrared signature and folding dynamics of a helical β-peptide. J. Am. Chem. Soc. 132, 5616-5618, doi:10.1021/ja100459a (2010). Percec, V., Wilson, D.A., Leowanawat, P., Wilson, C.J., Hughes, A.D., Kaucher, M.S., Hammer, D.A., Levine, D.H., Kim, A.J., Bates, F.S., Davis, K.P., Lodge, T.P., Klein, M.L., DeVane, R.H., Aqad, E., Rosen, B.M., Argintaru, A.O., Sienkowska, M.J., Rissanen, K., Nummelin, S. and Ropponen, J. Self-Assembly of Janus dendrimers into uniform dendrimersomes and other complex architectures. Science 328, 1009-1014, doi:10.1126/science.1185547 (2010). Peterca, M., Imam, M.R., Leowanawat, P., Rosen, B.M., Wilson, D.A., Wilson, C.J., Zeng, X.B., Ungar, G., Heiney, P.A. and Percec, V. Self-assembly of hybrid dendrons into doubly segregated supramolecular polyhedral columns and vesicles. J. Am. Chem. Soc. 132, 11288-11305, doi:10.1021/ja104432d (2010). Zhang, B., Jung, Y., Chung, H.S., Van Vugt, L. and Agarwal, R. Nanowire transformation by size-dependent cation exchange reactions. 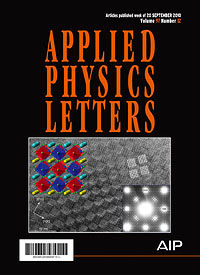 Nano Letters 10, 149-155, doi:10.1021/nl903059c (2010). Buxboim, A., Rajagopal, K., Brown, A.E.X. and Discher, D.E. How deeply cells feel: Methods for thin gels. J. Phys.-Condes. Matter 22, doi:10.1088/0953-8984/22/19/194116 (2010). Chandra, D. and Yang, S. Response to comment on biomimetic ultrathin whitening by capillary- corce-induced random clustering of hydrogel micropillar arrays. ACS Appl. Mater. & Interf. 2, 605, doi:10.1021/am900930m (2010). Chandra, D. and Yang, S. Stability of high-aspect-ratio micropillar arrays against adhesive and capillary forces. Accounts Chem. Res. 43, 1080-1091, doi:10.1021/ar100001a (2010). Chen, B.G. and Santangelo, C.D. Minimal resonances in annular non-Euclidean strips. Phys. Rev. E 82, 056601, doi:10.1103/PhysRevE.82 (2010). Chen, D.T.N., Chen, K., Hough, L.A., Islam, M.F. and Yodh, A.G. Rheology of carbon nanotube networks during gelation. Macromolecules 43, 2048-2053, doi:10.1021/ma902230a (2010). Chen, D.T.N., Wen, Q., Janmey, P.A., Crocker, J.C. and Yodh, A.G. Rheology of soft materials. Ann. Rev. Condensed Matter Physics 1, 301-322, doi:10.1146/annurev-conmatphys- 070909-104120 (2010). Chen, J., Dong, A.G., Cai, J., Ye, X.C., Kang, Y.J., Kikkawa, J.M. and Murray, C.B. Collective dipolar interactions in self-assembled magnetic binary nanocrystal superlattice membranes. Nano Lett. 10, 5103-5108, doi:10.1021/nl103568q (2010). Chen, J., Ye, X.C. and Murray, C.B. Systematic electron crystallographic studies of self-assembled binary nanocrystal superlattices. 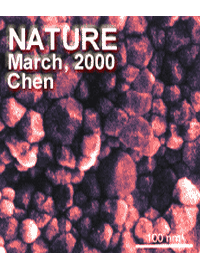 ACS Nano 4, 2374-2381, doi:10.1021/nn1003259 (2010). Chen, K., Ellenbroek, W.G., Zhang, Z.X., Chen, D.T.N., Yunker, P.J., Henkes, S., Brito, C., Dauchot, O., van Saarloos, W., Liu, A.J. and Yodh, A.G. Low-frequency vibrations of soft colloidal glasses. Phys. Rev. Lett. 105, 02550, 1 doi: 10.1103/PhysRevLett.105.025501 (2010). Christian, D.A., Garbuzenko, O.B., Minko, T. and Discher, D.E. Polymer vesicles with a red cell-like surface charge: Microvascular imaging and in vivo tracking with near-infrared fluorescence. Macromol. Rapid Commun. 31, 135-141, doi:10.1002/marc.200900589 (2010). Collings, P.J., Dickinson, A.J. and Smith, E.C. 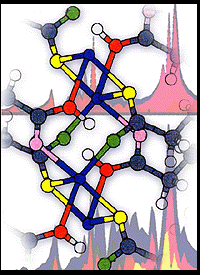 Molecular aggregation and chromonic liquid crystals. Liq. Cryst. 37, 701-710, doi:10.1080/02678292.2010.481910 (2010). Dong, A.G., Chen, J., Vora, P.M., Kikkawa, J.M. and Murray, C.B. Binary nanocrystal superlattice membranes self-assembled at the liquid-air interface. 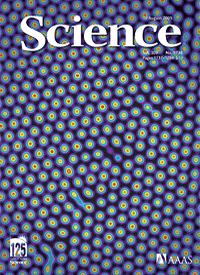 Nature 466, 474-477, doi:10.1038/nature09188 (2010). Fairfield, J.A., Dadosh, T. and Drndic, M. Characterization of memory and measurement history in photoconductivity of nanocrystal arrays. Appl. Phys. Lett. 97, 143112 doi: 10.1063/1.3496036 (2010). Fleischmann, S. and Percec, V. Copolymerization of methacrylic acid with methyl methacrylate by SET-LRP. J. Polym. Sci. Part A-Polym. Chem. 48, 4884-4888, doi:10.1002/pola.24282 (2010). Fleischmann, S. and Percec, V. SET-LRP of MMA in acetic acid. J. Polym. Sci. Part A-Polym. Chem. 48, 4889-4893, doi:10.1002/pola.24283 (2010). Fleischmann, S. and Percec, V. SET-LRP of methyl methacrylate initiated with sulfonyl halides. J. Polym. Sci. Part A: Polymer Chemistry 48, 2236-2242, doi:10.1002/pola.23999 (2010). Fleischmann, S. and Percec, V. Synthesis of well-defined photoresist materials by SET-LRP. J. Polymer Sci. Part A: Polymer Chemistry 48, 2251-2255, doi:10.1002/pola.24007 (2010). Fleischmann, S. and Percec, V. SET-LRP of methyl methacrylate initiated with CCl4 in the presence and absence of air. J. Polym. Sci. Part a-Polymer Chemistry 48, 2243-2250, doi:10.1002/pola.24000 (2010). Fleischmann, S., Rosen, B.M. and Percec, V. SET-LRP of acrylates in air. .J Polym. Sci.Part a-Polymer Chemistry 48, 1190-1196, doi:10.1002/pola.23879 (2010). Fry, H.C., Lehmann, A., Saven, J.G., DeGrado, W.F. and Therien, M.J. Computational design and elaboration of a De Novo heterotetrameric a-helical protein that selectively binds an emissive abiological (porphinato)zinc chromophore. J. Am. Chem. Soc. 132, 3997-4005, doi:10.1021/ja907407m (2010) *. Fu, J.P., Wang, Y.K., Yang, M.T., Desai, R.A., Yu, X.A., Liu, Z.J. and Chen, C.S. Mechanical regulation of cell function with geometrically modulated elastomeric substrates. Nat. Methods 7, 733-U795, doi:10.1038/nmeth.1487 (2010). Goldberg, S.D., Clinthorne, G.D., Goulian, M. and DeGrado, W.F. Transmembrane polar interactions are required for signaling in the Escherichia coli sensor kinase PhoQ. Proc. Natl. Acad. Sci. USA 107, 8141-8146, doi:10.1073/pnas.1003166107 (2010). Gonella, G., Dai, H.L., Fry, H.C., Therien, M.J., Krishnan, V., Tronin, A. and Blasie, J.K. Control of the orientational order and nonlinear optical response of the “Push-Pull” Chromophore RuPZn via specific incorporation into densely packed monolayer ensembles of an amphiphilic 4-Helix bundle peptide: Second harmonic generation at high chromophore densities. J. Am. Chem. Soc. 132, 9693-9700, doi:10.1021/ja1010724 (2010). Guvendiren, M., Burdick, J.A. and Yang, S. Kinetic study of swelling-induced surface pattern formation and ordering in hydrogel films with depth-wise crosslinking gradient. 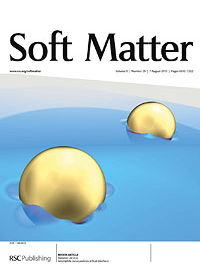 Soft Matter 6, 2044-2049, doi:10.1039/b927374c (2010). Guvendiren, M., Burdick, J.A. and Yang, S. Solvent induced transition from wrinkles to creases in thin film gels with depth-wise crosslinking gradients. Soft Matter 6, 5795-5801, doi:10.1039/c0sm00317d (2010). Hatano, T., Rosen, B.M. and Percec, V. SET-LRP of vinyl chloride initiated with CHBr3 and catalyzed by Cu(0)-wire/TREN in DMSO at 25oC. J. Polym. Sci. Pol. Chem. Part a-Polymer Chemistry 48, 164-172, doi:10.1002/pola.23774 (2010). Haun, J.B., Robbins, G.P. and Hammer, D.A. Engineering therapeutic nanocarriers with optimal adhesion for targeting. J. Adhes. 86, 131-159, doi:10.1080/00218460903510414 (2010). Haxton, T.K. and Liu, A.J. Kinetic heterogeneities at dynamical crossovers. EPL 90, 66004, doi:10.1209/0295-5075/90/66004 (2010). He, X.B., Shinoda, W., DeVane, R., Anderson, K.L. and Klein, M.L. Paramaterization of a coarse-grained model for linear alkylbenzene sulfonate surfactants and molecular dynamics studies of their self-assembly in aqueous solution. Chem. Phys. Lett. 487, 71-76, doi:10.1016/j.cplett.2010.01.029 (2010). 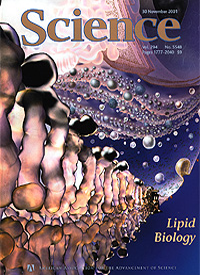 Heinrich, M., Tian, A., Esposito, C. and Baumgart, T. Dynamic sorting of lipids and proteins in membrane tubes with a moving phase boundary. Proce. Natl. Acad. Sci. U.S.A. 107, 7208-7213, doi:10.1073/pnas.0913997107 (2010). Hope-Ross, K.A., Heiney, P.A. and Kadla, J.F. A new family of bent-core C-2-symmetric liquid crystals. Can. J. Chem.-Rev. Can. Chim. 88, 639-645, doi:10.1139/v10-056 (2010). Jannat, R.A., Robbins, G.P., Ricart, B., Dembo, M. and Hammer, D.A. Neutrophil adhesion and chemotaxis depend on substrate mechanics. J. Phys. : Condens. Matter 22, 194117, doi:10.1088/0953-8984/22/19/194117 (2010). Jiang, X., Rosen, B.M. and Percec, V. Mimicking “Nascent” Cu(0) mediated SET-LRP of methyl acrylate in DMSO leads to complete conversion in ceveral minutes. J. Polym. Sci. Part a-Polymer Chemistry 48, 403-409, doi:10.1002/pola.23797 (2010). Jiang, X.A., Rosen, B.M. and Percec, V. Immortal SET-LRP mediated by Cu(0) wire. J. Polym. Sci. Part a-Polymer Chemistry 48, 2716-2721, doi:10.1002/pola.24059 (2010). Jo, H., Culik, R.M., Korendovych, I.V., DeGrado, W.F. and Gai, F. Selective incorporation of nitrile-based infrared probes into proteins via cysteine alkylation. Biochem. 49, 10354-10356, doi:10.1021/bi101711a (2010). Johnson, R.R., Johnson, A.T.C. and Klein, M.L. The nature of DNA-base-carbon-nanotube interactions. Small 6, 31-34, doi:10.1002/smll.200901481 (2010). Kamat, N.P., Robbins, G.P., Rawson, J., Therien, M.J., Dmochowski, I.J. and Hammer, D.A. A generalized system for photoresponsive membrane rupture in polymersomes. Adv. Funct. Mater. 20, 2588-2596, doi:10.1002/adfm.201000659 (2010). Katz, J.S. and Burdick, J.A. Light-responsive biomaterials: development and applications. Macromol. Biosci. 10, 339-348, doi:10.1002/mabi.200900297 (2010). Katz, J.S., Zhong, S., Ricart, B.G., Pochan, D.J., Hammer, D.A. and Burdick, J.A. Modular synthesis of biodegradable diblock copolymers for designing functional polymersomes. J. Am. Chem. Soc. 132, 3654-3655, doi:10.1021/ja910606y (2010). Ko, D.K., Urban, J.J. and Murray, C.B. Carrier distribution and dynamics of nanocrystal solids doped with artificial atoms. Nano Lett. 10, 1842-1847, doi:10.1021/nl100571m (2010). Kraya, R.A. and Bonnell, D.A. Determining the electronic properties of individual nanointerfaces by combining intermittent AFM imaging and contact spectroscopy. IEEE Trans. Nanotechnol. 9, 741-744, doi:10.1109/tnano.2010.2047024 (2010). Kraya, R., Kraya, L.Y. and Bonnell, D.A. Orientation controlled Schottky barrier formation at Au nanoparticle-SrTiO3 interfaces. Nano Lett. 10, 1224-1228, doi:10.1021/nl903651p (2010). Krishnan, V., Tronin, A., Strzalka, J., Fry, H.C., Therien, M.J. and Blasie, J.K. Control of the orientational order and nonlinear optical response of the “Push-Pull” Chromophore RuPZn via specific incorporation into densely packed monolayer ensembles of an amphiphilic four-helix bundle peptide: Characterization of the peptide-Chromophore complexes. J. Am. Chem. Soc. 132, 11083-11092, doi:10.1021/ja1010702 (2010). Lee, C., Li, Q.Y., Kalb, W., Liu, X.Z., Berger, H., Carpick, R.W. and Hone, J. Frictional characteristics of atomically thin sheets. Science 328, 76-80, doi:10.1126/science.1184167 (2010). Lee, M.H. and Lee, D. Elastic instability of polymer-shelled bubbles formed from air-in-oil-in-water compound bubbles. Soft Matter 6, 4326-4330, doi:10.1039/c0sm00449a (2010). Lee, M.H., Prasad, V. and Lee, D. Microfluidic fabrication of stable nanoparticle-shelled bubbles. Langmuir 26, 2227-2230, doi:10.1021/la904425v (2010). Legant, W.R., Miller, J.S., Blakely, B.L., Cohen, D.M., Genin, G.M. and Chen, C.S. Measurement of mechanical tractions exerted by cells in three-dimensional matrices. Nat. Methods 7, 969-U113, doi:10.1038/nmeth.1531 (2010). Licurse, M.W. and Davies, P.K. Nanocheckerboard modulations in (NaNd)(MgW)O-6. Appl. Phys. Lett. 97, 123101 doi:10.1063/1.3490637 (2010). Liu, A.J. and Nagel, S.R. Granular and jammed materials. 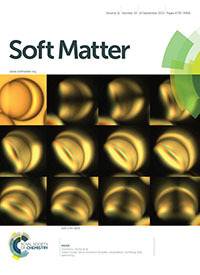 Soft Matter 6, 2869-2870, doi:10.1039/c005388k (2010). Liu, Z.J., Sniadecki, N.J. and Chen, C.S. Mechanical forces in endothelial cells during firm adhesion and early transmigration of human monocytes. Cellular and Molecular Bioengineering 3, 50-59, doi:10.1007/s12195-010-0105-3 (2010). Liu, Z.J., Tan, J.L., Cohen, D.M., Yang, M.T., Sniadecki, N.J., Ruiz, S.A., Nelson, C.M. and Chen, C.S. Mechanical tugging force regulates the size of cell-cell junctions. Proc. Natl. Acad. Sci. U. S. A. 107, 9944-9949, doi:10.1073/pnas.0914547107 (2010). Lubensky, T.C. and Ye, F.F. Elastic response and Ward identities in stressed nematic elastomers. Phys. Rev. E 82, 011704, doi:10.1103/PhysRevE.82.011704 (2010). McConnell, M.D., Kraeutler, M.J., Yang, S. and Composto, R.J. Patchy and multiregion Janus Particles with tunable optical properties. Nano Lett. 10, 603-609, doi:10.1021/nl903636r (2010). McConnell, M.D., Liu, Y., Nowak, A.P., Pilch, S., Masters, J.G. and Composto, R.J. Bacterial plaque retention on oral hard materials: effect of surface roughness, surface composition, and physisorbed polycarboxylate. J. Biomed. Mater. Res. Part A 92A, 1518-1527, doi:10.1002/jbm.a.32493 (2010). McKitterick, C.B., Erb-Satullo, N.L., LaRacuente, N.D., Dickinson, A.J. and Collings, P.J. Aggregation properties of the chromonic liquid crystal Benzopurpurin 4B. J. Phys. Chem. B 114, 1888-1896, doi:10.1021/jp910136p (2010). Meyer, R.F., Rogers, W.B., McClendon, M.T. and Crocker, J.C. Producing monodisperse drug-loaded polymer microspheres via cross-vlow membrane dmulsification: The dffects of polymers and surfactants. Langmuir 26, 14479-14487, doi:10.1021/la1023136 (2010). Miller, J.S., Shen, C.J., Legant, W.R., Baranski, J.D., Blakely, B.L. and Chen, C.S. Bioactive hydrogels made from step-growth derived PEG-peptide macromers. 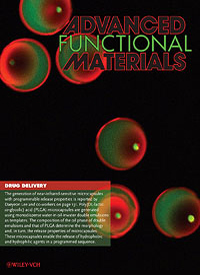 Biomaterials 31, 3736-3743, doi:10.1016/j.biomaterials.2010.01.058 (2010). Mishin, Y., Asta, M. and Li, J. Atomistic modeling of interfaces and their impact on microstructure and properties. Acta Materialia 58, 1117-1151, doi:10.1016/j.actamat.2009.10.049 (2010). Nguyen, N.H. and Percec, V. Dramatic acceleration of SET-LRP of methyl acrylate during catalysis with activated Cu(0) wire. J. Polym. Sci. Part A-Polym. Chem. 48, 5109-5119, doi:10.1002/pola.24309 (2010). Nguyen, N.H., Rosen, B.M. and Percec, V. SET-LRP of N, N-dimethylacrylamide and of N-isopropylacrylamide at 25°C in protic and in dipolar aprotic solvents. J. Polym. Sci. Part A: Polymer Chemistry 48, 1752-1763, doi:10.1002/pola.23940 (2010). Nordstrom, K.N., Verneuil, E., Ellenbroek, W.G., Lubensky, T.C., Gollub, J.P. and Durian, D.J. Centrifugal compression of soft particle packings: Theory and experiment. Phys. Rev. E 82, 041403, doi:10.1103/PhysRevE.82.041403 (2010). Nordstrom, K.N., Verneuil, E., Arratia, P.E., Basu, A., Zhang, Z., Yodh, A.G., Gollub, J.P. and Durian, D.J. Microfluidic rheology of soft colloids above and below jamming. Phys. Rev. Lett.Ph 105, doi:10.1103/PhysRevLett.105.175701 (2010). Park, J.H., Sun, Y., Goldman, Y.E. and Composto, R.J. Self-assembled charged hydrogels control the alignment of filamentous actin. 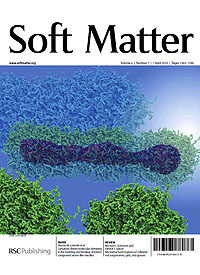 Soft Matter 6, 915-921, doi:DOI: 10.1039/b918304c (2010). Park, J.H., Sun, Y.J., Goldman, Y.E. and Composto, R.J. Tunable nanoscale channels in diblock copolymer films for biomolecule organization. Langmuir 26, 10961-10967, doi:10.1021/la100985a (2010). Peng, Y., Wang, Z., Alsayed, A.M., Yodh, A.G. and Han, Y. Melting of colloidal crystal films Phys. Rev. Lett. 104, 219901, doi:10.1103/PhysRevLett.104.219901 (2010). Peterca, M. and Percec, V. Recasting metal alloy phases with block copolymers. Science 330, 333-334, doi:10.1126/science.1196698 (2010). Ramanan, V.V., Katz, J.S., Guvendiren, M., Cohen, E.R., Marklein, R.A. and Burdick, J.A. Photocleavable side groups to spatially alter hydrogel properties and cellular interactions. J. Mater. Chem. 20, 8920-8926, doi:10.1039/c0jm00734j (2010). Rajagopal, K., Mahmud, A., Christian, D.A., Pajerowski, J.D., Brown, A.E.X., Loverde, S.M. and Discher, D.E. Curvature-coupled hydration of semicrystalline polymer amphiphiles yields flexible worm micelles but favors rigid vesicles: Polycaprolactone-based block copolymers. Macromolecules 43, 9736-9746, doi:10.1021/ma101316w (2010). Robbins, G.P., Saunders, R.L., Haun, J.B., Rawson, J., Therien, M.J. and Hammer, D.A. Tunable leuko-polymersomes that adhere specifically to inflammatory markers. 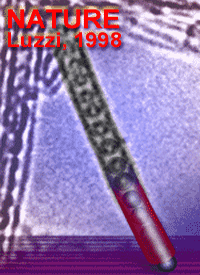 Langmuir 26, 14089-14096, doi:10.1021/1a1017032 (2010). Rosen, B.M., Peterca, M., Huang, C.H., Zeng, X.B., Ungar, G. and Percec, V. Deconstruction as a strategy for the design of libraries of self-assembling dendrons. Angew. Chem.-Int. Edit. 49, 7002-7005, doi:10.1002/anie.201002514 (2010). Saudari, S.R., Lin, Y.J., Lai, Y. and Kagan, C.R. Device configurations for ambipolar transport in flexible, pentacene transistors. Adv. Mater. 22, 5063-+, doi:10.1002/adma.201001853 (2010). Saven, J.G. Computational protein design: Advances in the design and redesign of biomolecular nanostructures. Current Opinion in Colloid & Interface Science 15, 13-17, doi:10.1016/j.cocis.2009.06.002 (2010). Shokef, Y. and Liu, A.J. Jamming mechanisms and density dependence in a kinetically constrained model. Epl 90, doi:10.1209/0295-5075/90/26005 (2010). Siryaporn, A., Perchuk, B.S., Laub, M.T. and Goulian, M. Evolving a robust signal transduction pathway from weak cross-talk. Mol. Sys. Biol. 6, 1-8, doi:10.1038/msb.2010.105 (2010). Tettey, K.E., Yee, M.Q. and Lee, D. Layer-by-layer assembly of charged particles in nonpolar media. Langmuir 26, 9974-9980, doi:10.1021/la1000655 (2010). Thomas, W.E., Discher, D.E. and Shastri, V.P. Mechanical regulation of cells by materials and tissues. MRS Bull. 35, 578-583 (2010). Treiser, M.D., Yang, E.H., Gordonov, S., Cohen, D.M., Androulakis, I.P., Kohn, J., Chen, C.S. and Moghe, P.V. Cytoskeleton-based forecasting of stem cell lineage fates. Proc. Natl. Acad. Sci. U.SA.107, 610-615, doi:10.1073/pnas.0909597107 (2010). Vitelli, V., Xu, N., Wyart, M., Liu, A.J. and Nagel, S.R. Heat transport in model jammed solids. Phys. Rev. E 81, 021301, doi: 10.1103/PhysRevE.81.021301 (2010). Vora, P.M., Tu, X., Mele, E.J., Zheng, M. and Kikkawa, J.M. Chirality dependence of the K-momentum dark excitons in carbon nanotubes. Phys. Rev. B 81, 155123, doi:10.1103/PhysRevB.81.155123 (2010). Wang, Z., Alsayed, A.M., Yodh, A.G. and Han, Y. Two-dimensional freezing criteria for crystallizing colloidal monolayers. J. Chem. Phys. 132, 154501, doi:10.1063/1.3372618 (2010). White, S.I., Vora, P.M., Kikkawa, J.M., Fischer, J.E. and Winey, K.I. Temperature-dependent resistive switching in bulk silver nanowire-polystyrene composites. J. Phys. Chem. C 114, 22106-22112, doi:10.1021/jp108191q (2010). Wilson, D.A., Wilson, C.J., Moldoveanu, C., Resmerita, A.M., Corcoran, P., Hoang, L.M., Rosen, B.M. and Percec, V. Neopentylglycolborylation of aryl mesylates and tosylates catalyzed by Ni-based mixed-ligand systems activated with Zn. J. Am. Chem. Soc. 132, 1800-1801, doi:10.1021/ja910808x (2010). Yang, S., Khare, K. and Lin, P.C. Harnessing surface wrinkle patterns in soft matter. Adv. Funct. Mater. 20, 2550-2564, doi:10.1002/adfm.201000034 (2010) (Invited review). Ye, X.C., Collins, J.E., Kang, Y.J., Chen, J., Chen, D.T.N., Yodh, A.G. and Murray, C.B. Morphologically controlled synthesis of colloidal upconversion nanophosphors and their shape-directed self-assembly. Proc. Natl. Acad. Sci. U. S. A. 107, 22430-22435, doi:10.1073/pnas.1008958107 (2010). Ye, Y., Salas-de La Cruz, D., Winey, K.I. and Elabd, Y.A. Ion conduction in polymerized ionic liquids: The effect of anion type. Polymer Preprings, American Chemical Society, San Francisco 51, 688-6989 (2010). Yu, Q., Shan, Z.W., Li, J., Huang, X.X., Xiao, L., Sun, J. and Ma, E. Strong crystal size effect on deformation twinning. Nature 463, 335-338, doi:10.1038/nature08692 (2010). Yunker, P., Zhang, Z. and Yodh, A.G. Observation of the disorder-induced crystal-to-glass transition. Phys. Rev. Lett. 104, 15701, doi:10.1103/PhysRevLett.104.015701 (2010). Zemel, A., Rehfeldt, F., Brown, A.E.X., Discher, D.E. and Safran, S.A. Optimal matrix rigidity for stress-fibre polarization in stem cells. Nat. Phys. 6, 468-473, doi:10.1038/nphys1613 (2010). Zhu, T. and Li, J. Ultra-strength materials. Prog. Mater. Sci. 55, 710-757, doi:10.1016/j.pmatsci.2010.04.001 (2010). Brown, R.H., Duncan, A.J., Choi, J.H., Park, J.K., Wu, T.Y., Leo, D.J., Winey, K.I., Moore, R.B. and Long, T.E. Effect of ionic liquid on mechanical properties and morphology of zwitterionic copolymer membranes. Macromolecules 43, 790-796, doi:10.1021/ma902028u (2010). Das, S., Goff, J.D., Williams, S., Salas-De La Cruz, D., Riffle, J.S., Long, T.E., Winey, K.I. and Wilkes, G.L. Synthesis and characterization of novel segmented polyionenes based on polydimethylsiloxane soft segments. 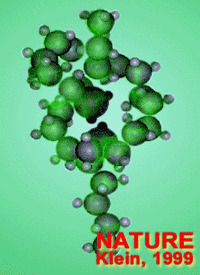 J. Macromolecular Science Part A: Pure and Applied Chemistry 47, 215-224, doi:10.1080/10601320903526881 (2010). Davis, E.M., Elabd, Y.A., Winey, K.I., Regnault, W.F. and Benetatos, N.M. New characterization techniques for assessing the structure and water transport properties of parylene coatings. American Chemical Society, Polymeric Materials: Science and Engineering Vol. 201 59-60 (2010). Duncan, T.V., Frail, P.R., Miloradovic, I.R. and Therien, M.J. Excitation of highly conjugated (porphinato)palladium(II) and (porphinato)platinum(II) oligomers produces long-lived, triplet states at unit quantum yield that absorb strongly over broad spectral domains of the NIR. J. Phys. Chem. B 114, 14696-14702, doi:10.1021/jp102901u (2010). Gibson, H.W., Lee, M., U-H., C., Colby, R.H., Salas-de La Cruz, D., Winey, K.I., Aitken, B., Wagener, K.B., Schoonover, D. and Niu, Z. Polyelectrolytes based on ionic liquids for use in electroactive actuators. 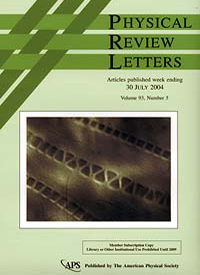 American Chemical Society, Polymer Preprints, 51, 274-275 (2010). Gwee, L., Choi, J.-H., Winey, K.I. and Elabd, Y.A. Ionic liquid-polymer solid-state films: The effect of ionic liquid composition on morphology and ion conduction. American Chemical Society, Polymer Preprints. 51, 421-422, (2010). Haun, J.B., Robbins, G.P. and Hammer, D.A. Engineering therapeutic nanocarriers with optimal adhesion for targeting. J. Adhesion 86, 131-159, doi:10.1080/00218460903510414 (2010). Ishizuka, T., Sinks, L.E., Song, K., ­, Nayak, A., Clays, K. and Therien, M.J. The roles of molecular structure and effective optical symmetry in evolving dipolar chromophoric building blocks to potent octopolar nonlinear optical chromophores. J. Am. Chem. Soc. 133, 2884-2896, doi:10.1021/ja105004k (2011). Jung, Y., Hickey, R.J. and Park, S.-J. Encapsulating light-emitting polymers in block copolymer micelles. Langmuir, doi:10.1021/la904350r (2010). Kang, Y.K., Iovine, P.M. and Therien, M.l.J. Electron transfer reactions of rigid, cofacially compressed, -stacked porphyrin-bridge-quinone systems. Coord. Chem. Rev. 255, 804-824, doi:10.1016/j.ccr.2010.12.011 (2011). Lampe, J.W., Liao, Z., Dmochowski, I.J., Ayyaswamy, P.S. and Eckmann, D.M. Imaging macromolecular interactions at an interface. Langmuir 26, 2452–2459, doi:10.1021/la903703u (2010). Robbins, G.P., Lee, D., Katz, J.S., Frail, P.R., Therien, M.J., Crocker, J.C. and Hammer, D.A. Effects of membrane rheology on leuko-polymersome adhesion to inflammatory ligands. 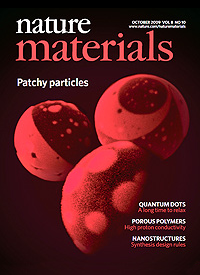 Soft Matter 7, 769-779, doi:10.1039/c0sm00554a (2011). Soles, C.L., Wang, H. and Composto, R.J. The chemical composition of low dielectric constant films from ion beam scattering methodologies. ECS Transactions 13 (2010). Wang, W.Q., Liu, W.J., Tudryn, G.J., Colby, R.H. and Winey, K.I. Multi-length acale morphology of poly(ethylene oxide)-based aulfonate ionomers with alkali cations at room temperature. Macromolecules 43, 4223-4229, doi:10.1021/ma100379j (2010). Williams, S.R., Salas-de la Cruz, D., Winey, K.I. and Long, T.E. Ionene segmented block copolymers containing imidazolium cations: Structure-property relationships as a function of hard segment content. Polymer 51, 1252-1257, doi:10.1016/j.polymer.2009.06.051 (2010). Ye, Y., Salas-de La Cruz, D., Winey, K.I. and Elabd, Y.A. Ion conduction in polymerized ionic liquids: The effect of anion type. American Chemical Society, Polymer Preprints, 51, 688-689 (2010).